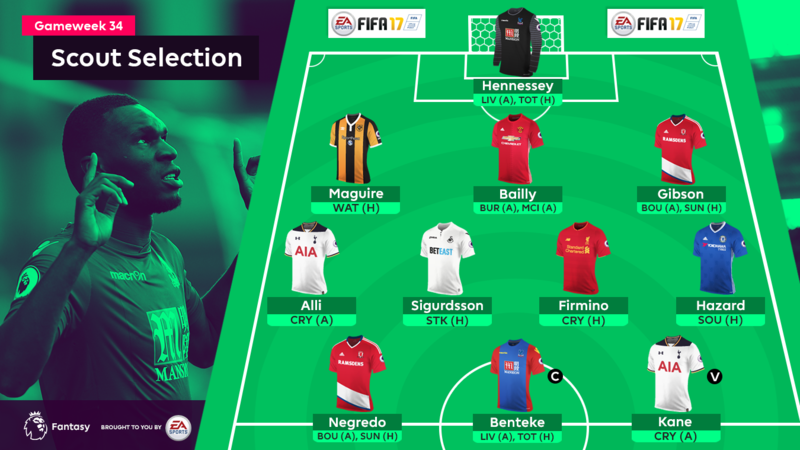 Manchester United, Middlesbrough and Crystal Palace contribute five players to our latest Fantasy Premier League line-up ahead of their Double Gameweek 34, as we look to build on a return of 65 points from last weekend's XI. Four clean sheets from the last six Gameweeks offers hope ahead of testing fixtures with Liverpool and Tottenham Hotspur. Having earned five points from saves in his previous three appearances, including 10 stops in the recent victory at Stamford Bridge, Hennessey can profit even if his goal is breached. The most assured starter in Jose Mourinho's defence, the Ivorian offers cover for the two fixtures at Burnley and Manchester City. Topping the Man Utd ranks for clearances, blocks and interceptions (CBI) over the past six Gameweeks, with 42, Bailly offers the potential for bonus points to reinforce a return from clean sheets. An ever-present this season, the centre-back looks a certain starter in the matches at AFC Bournemouth and at home to Sunderland. Like Bailly, Gibson is a dominant force for CBI, averaging 8.7 per match to ensure he will be in the mix for bonus points should Boro earn a shutout over their two fixtures. Shifted to right-back at Stoke City last weekend, Maguire produced a second goal in as many appearances to deliver on the box threat he has shown since claiming a starting berth in Gameweek 15. He faces a Watford side who have conceded seven goals without reply in their last three away trips. Short of FPL form, the Icelander has failed to produce a goal or an assist in any of the last five Gameweeks. However, over that dry spell, Sigurdsson has fired 18 shots on goal, a tally bettered only by Spurs duo Christian Eriksen (£8.8m and 22) and Son Heung-min (£7.3m and 21), as he prepares for a home encounter with Stoke City. A decisive header at West Bromwich Albion in Gameweek 33 means that the Liverpool midfielder has delivered either a goal or an assist in each of his last six appearances. Sunday's visitors Crystal Palace have allowed more shots inside the box (48) than any other side over the last four Gameweeks and are without the ineligible Mamadou Sakho (£4.8m) in defence. With 10 goals in 15 Stamford Bridge starts, no other FPL midfielder can match the Belgian's potency in home matches. The defeat to Manchester United was a setback but the playmaker had returned three double-figure scores in three of his last four starts prior to Sunday's loss. He can bounce back against Southampton this Gameweek. While both Eriksen and Son are highly effective alternatives in the Spurs midfield, Alli's consistency over the last seven Gameweeks is peerless. The top-owned FPL midfielder (35.3%) has produced a goal or an assist in each of those appearances and will have fond memories on his return to Selhurst Park, having scored with a sublime volley in a 3-1 victory last season. Selected alongside his Spurs team-mate, Kane edges out Romelu Lukaku (£10.5m) in our selection having produced double-digits in his last three Gameweek starts. In his last four appearances, Kane has scored or assisted eight of the nine goals Spurs have netted while he has been on the pitch. 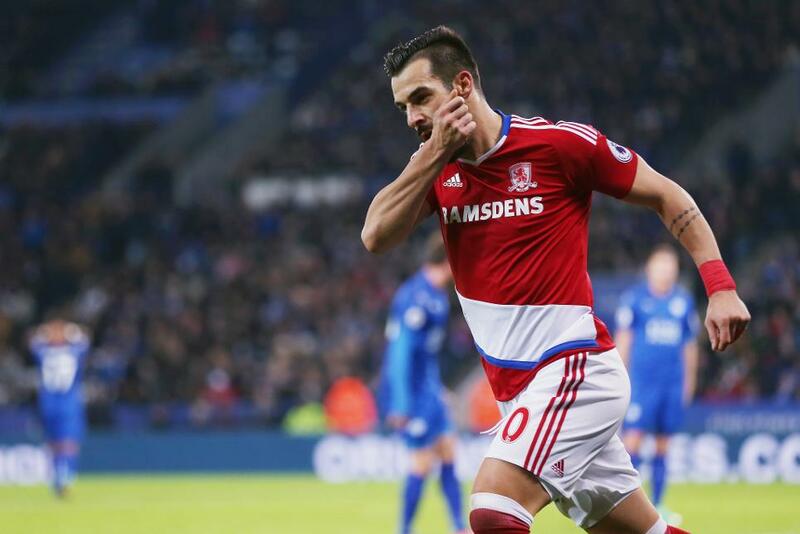 Another striker with two Gameweek fixtures, Negredo will be a pivotal figure in the meetings with AFC Bournemouth and Sunderland. He has found the net in each of his last two starts and has scored or assisted 57% of Middlesbrough's goals when on the pitch. The Belgian boasts three goals and an assist from his last four outings ahead of encounters with Liverpool and Spurs. News of injury doubts in the Reds' defence has us backing Benteke for profit against his former club as our Gameweek 34 captain.